Let's face it, the human population is growing and the demand for resources is increasing every single day. Although, for the past few hundred years we've been largely dependent on fossil fuels, we've been starting to see a push for renewable sources of energy such as solar energy and wind energy. Your bowl of pistachio ice cream might be able to help with that. A newly published article in the May 2017 issue of Renewable and Sustainable Energy Reviews suggests that we could turn pistachio waste into biofuel. Although biofuels have faced some controversy over the concern that biofuel crops compete with land used for food crops, this study shows that we could potentially turn a waste product into a valuable source of energy. Back up, What's a Biofuel? Biofuels are fuels that are made from plants, such as corn, wheat, or even algae. While petroleum is technically an ancient biofuel, we call them fossil fuels because they are made from decomposed plants and animals from millions of years ago. Biofuels are not carbon-neutral because it takes energy to collect and process the plants and because carbon is released into the air when it is burned. However, biofuels are renewable resources; if we need more biofuel, we can grow more plants. So, What's the Deal With Pistachios? The authors of the study first looked at the amount of pistachio waste being produced in Iran, the largest producer of pistachios in the world. Then they looked at several ways of generating energy from biomass. The authors concluded that over 100 million cubic meters of biogas, 200 million cubic meters of bio-oil, and over 45 million liters of ethanol could be produced from pistachio waste in Iran. The amount of ethanol produced alone would fill 18 Olympic-sized swimming pools, and have a value of over 11 million US dollars. 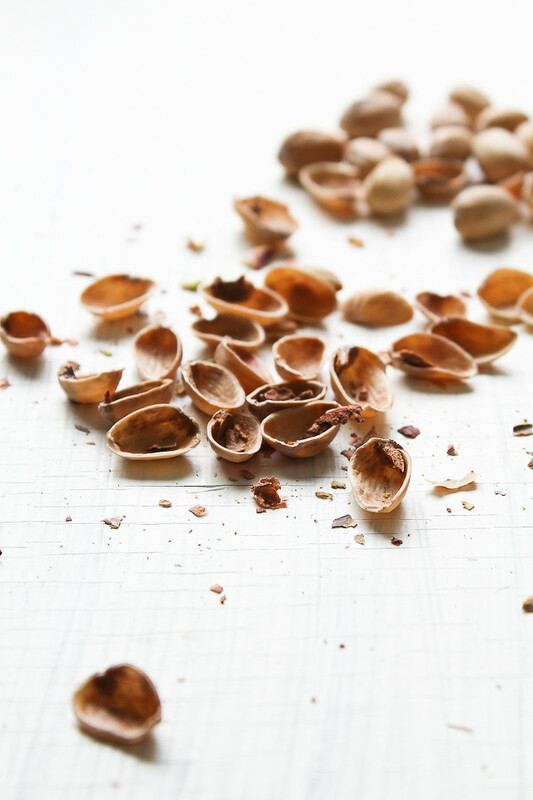 Not only does this turn waste into something useful, but could also help improve the livelihood of pistachio farmers. Turning shells into fuel– it's not nuts!